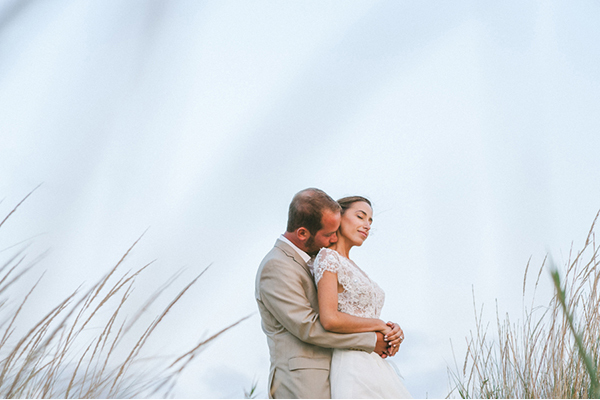 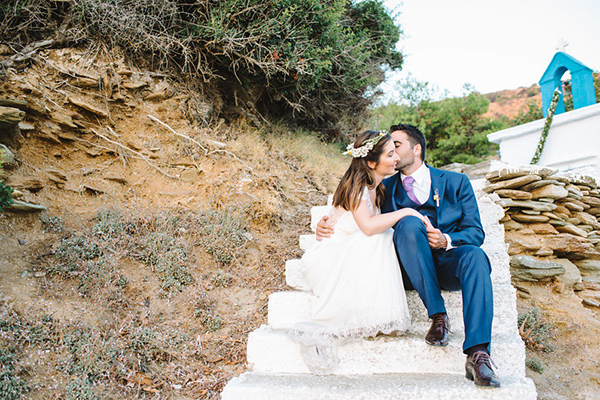 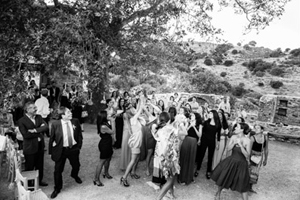 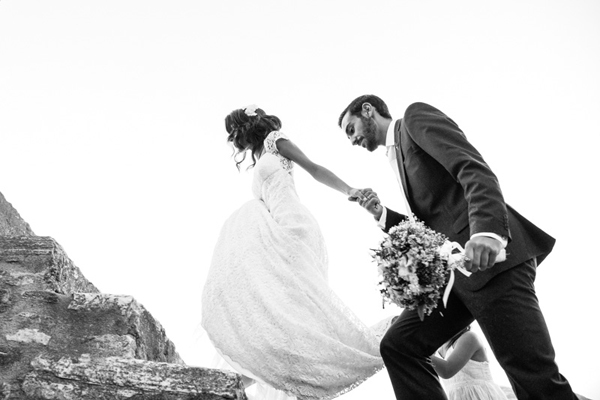 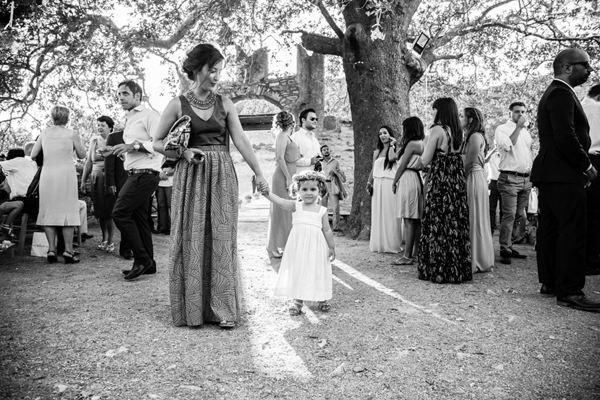 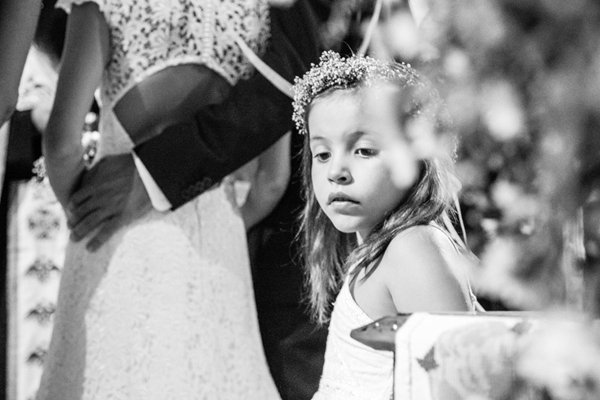 What a breath of fresh air Yiannis & Myrto’s rustic country wedding really is. 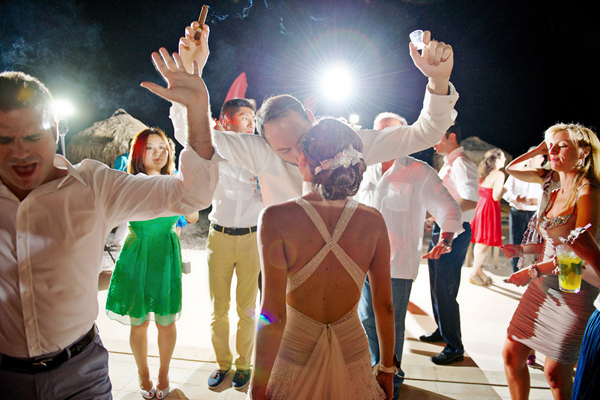 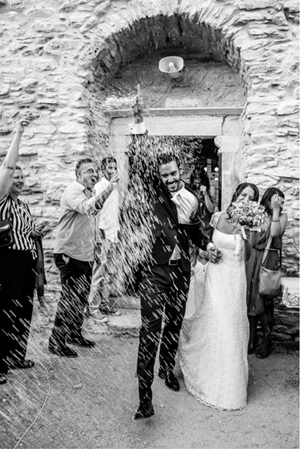 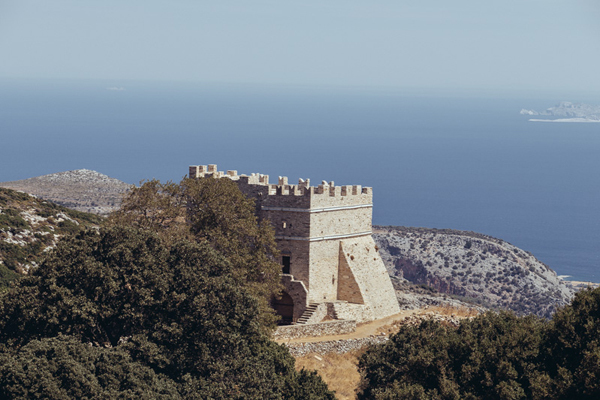 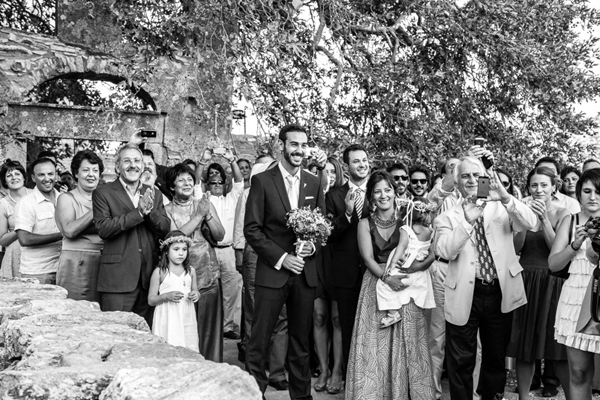 They planned their romantic wedding on the stunning Greek island Naxos, a perfect excuse for friends and family to combine their wedding with a three day vacation. 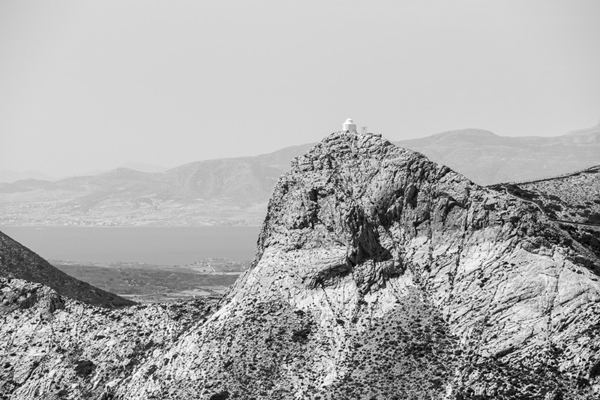 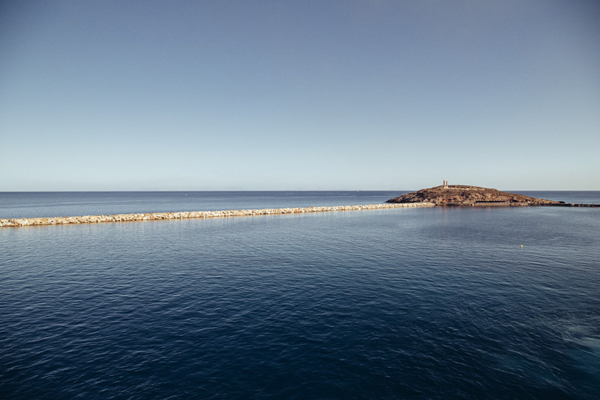 The beauty of this Aegean island is mesmerizing. 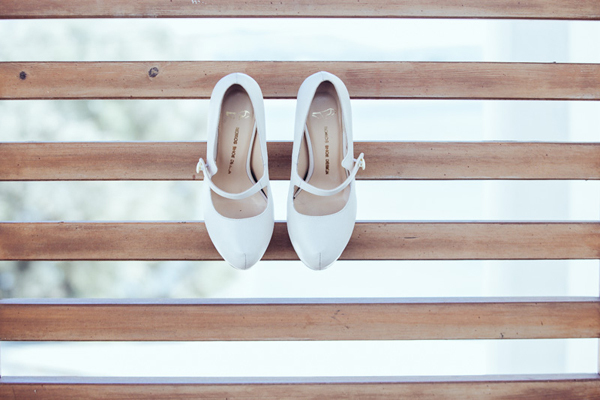 The Mary Jane wedidng shoes were custom made for the bride. 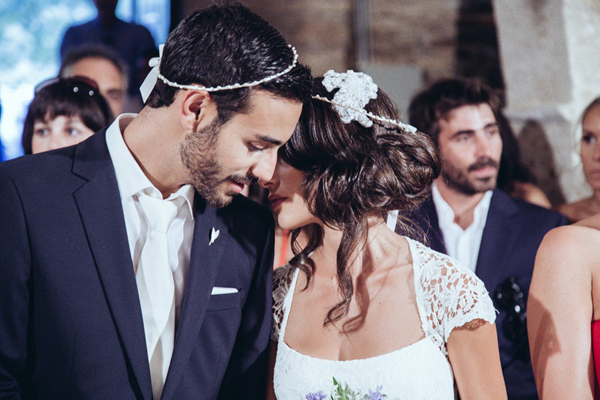 Myrto wanted a vintage inspired wedding hairstyle: a loose retro updo to the side… very vintage indeed! 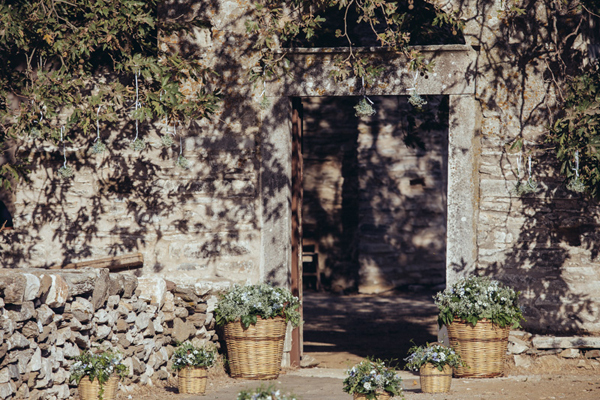 The rustic country wedding decoration was the perfect choice the rural environment of this setting. 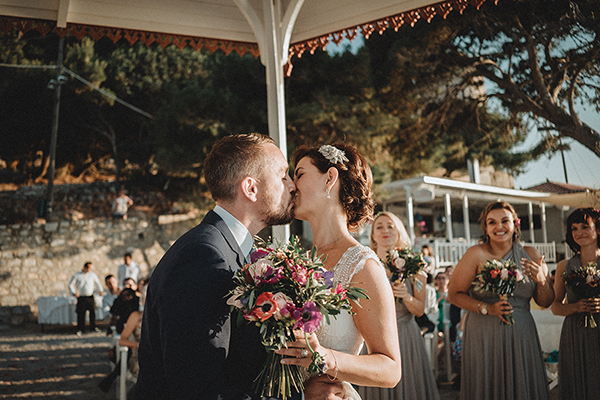 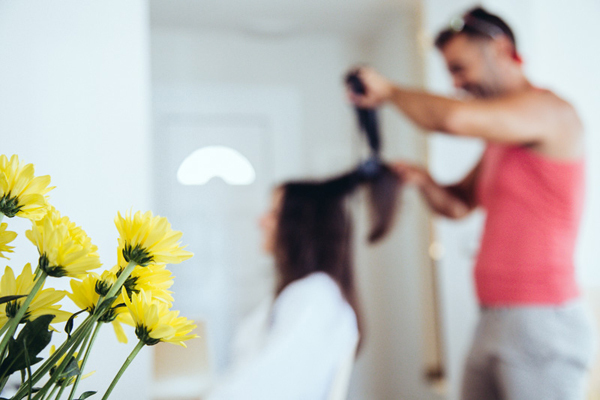 As Anna Sourbati, the wedding planner from The Event Company: «We designed the rustic country wedding theme based on the natural beauty of this enchanting island. 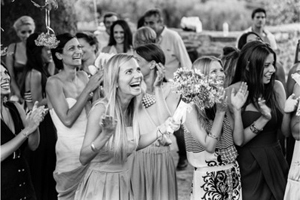 In the wedding decor we used traditional hand woven baskets and filled them with countless colorful wild flowers”. 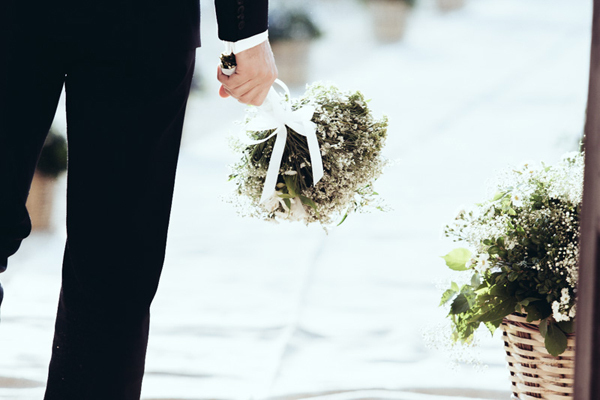 A detail I truly love: the burlap wedding aisle runner! 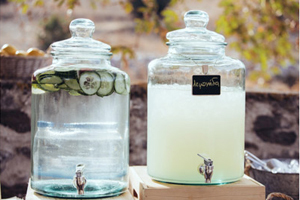 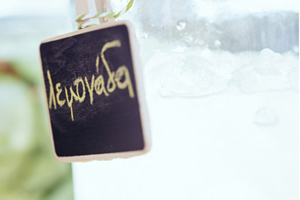 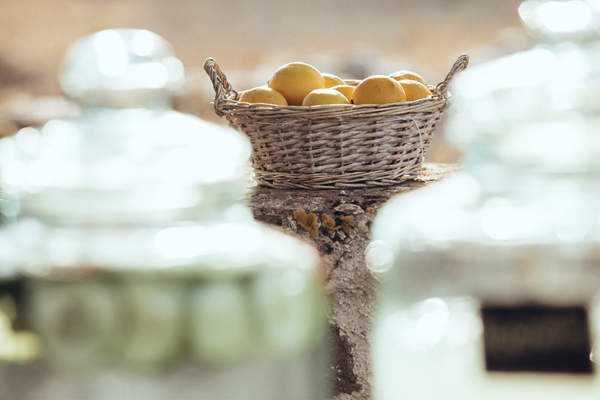 The wedding guests were offered refreshments form the adorable lemon stand that was set up in the church courtyard. 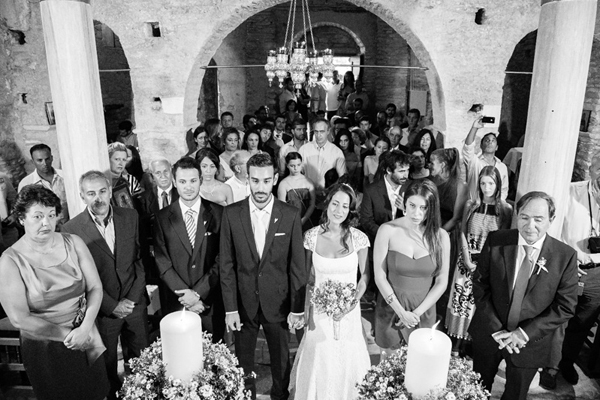 The wedding bouquet had aromatic rosemary, lisianthis and blue jasmin. 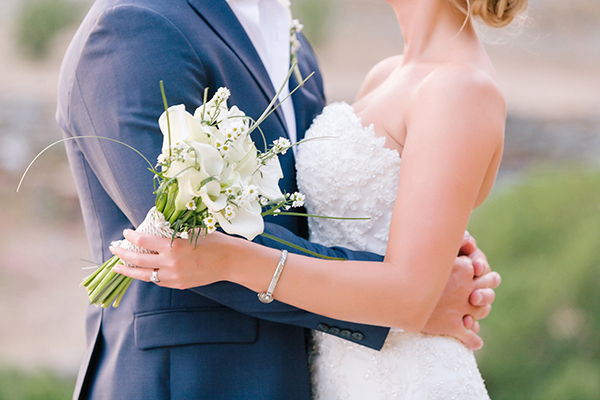 Such gorgeous wedding flowers for a rustic country wedding! 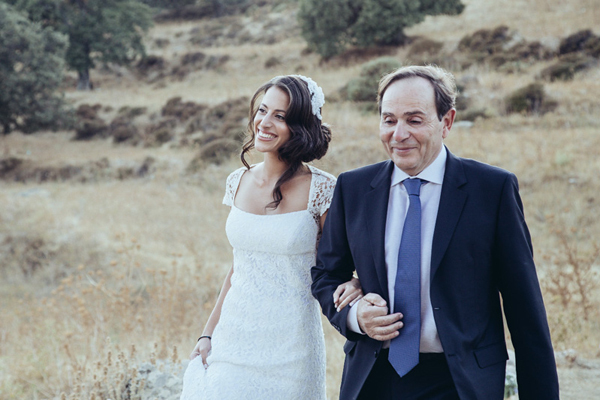 The wedding dress that Myrto was wearing was from the Haute Couture-Sur Mesure collection designed with style by Vlassis Holevas. 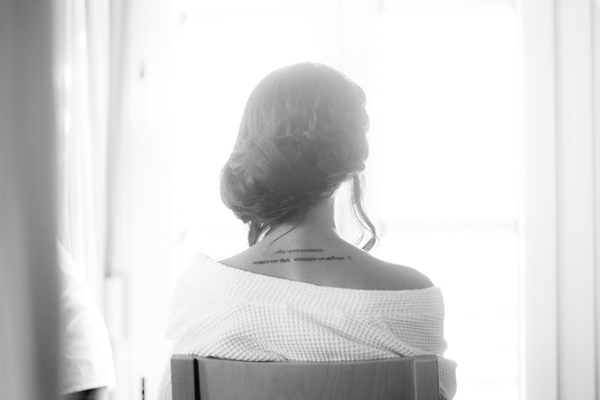 A a line wedding dress with with an intricate design on the back. 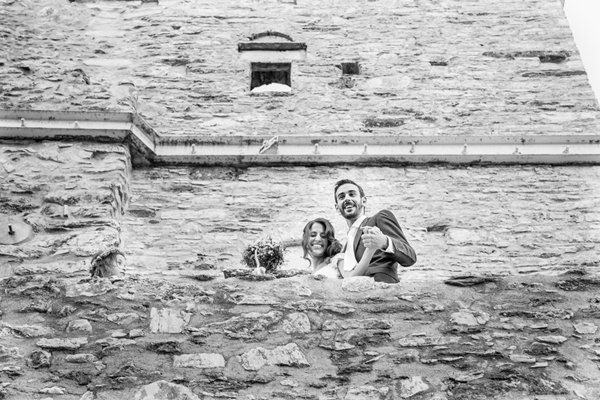 Myrto and Yiannis met in the city Bath during their post graduate studies in England. 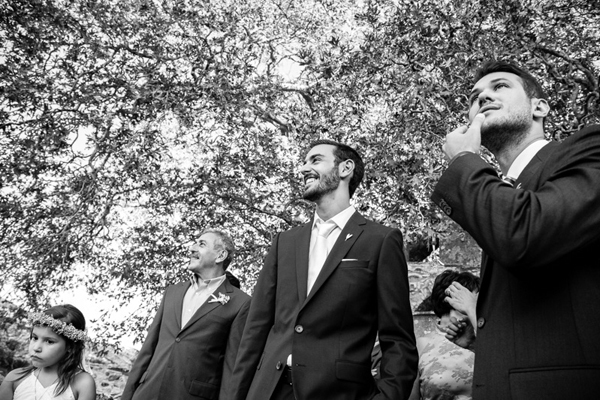 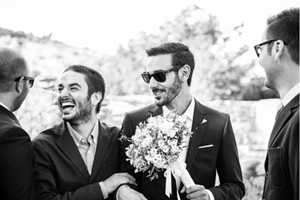 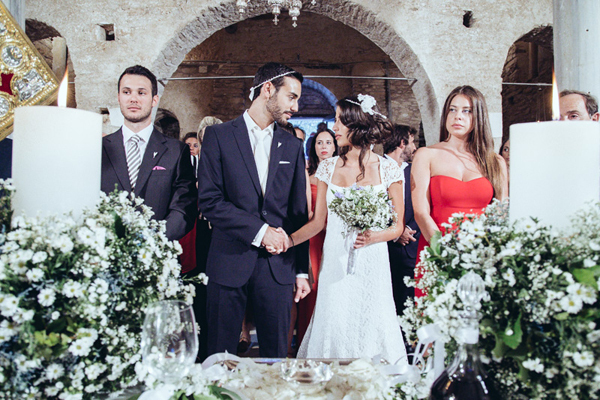 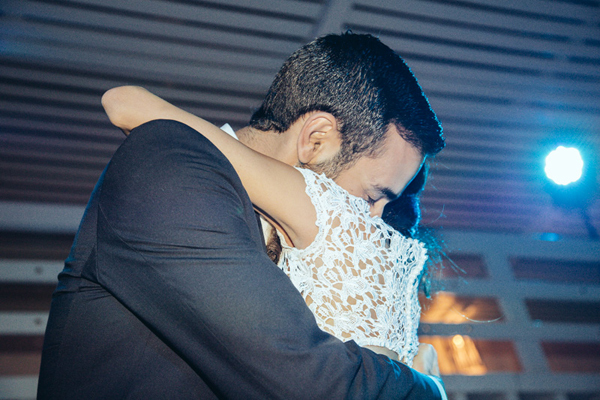 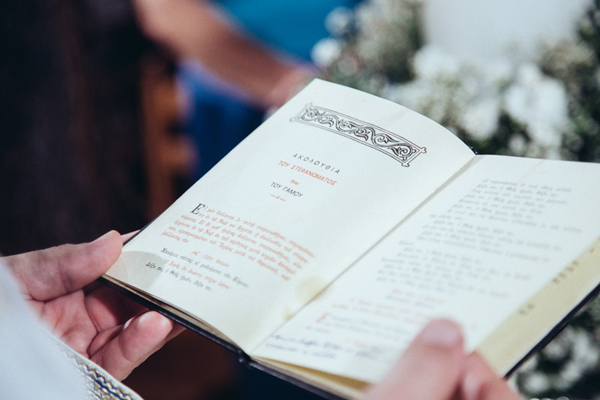 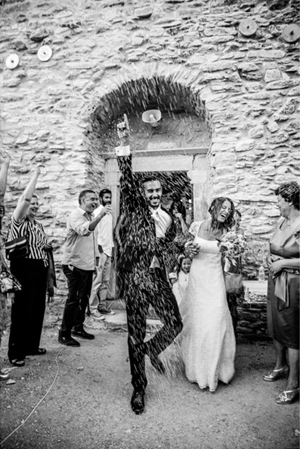 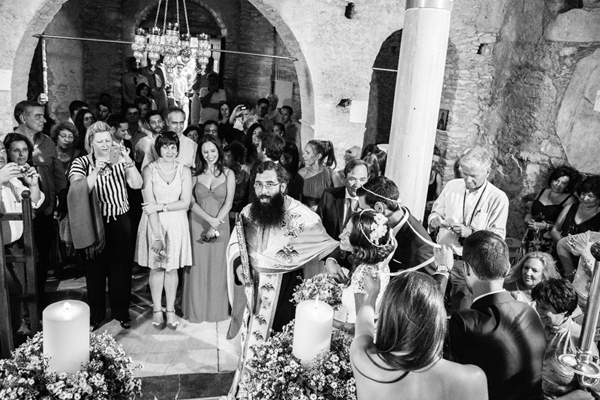 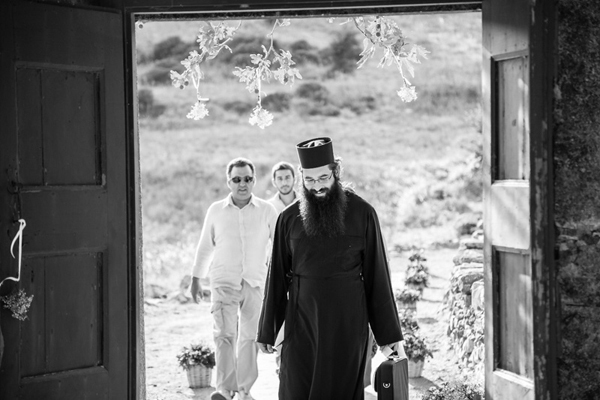 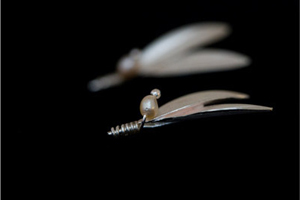 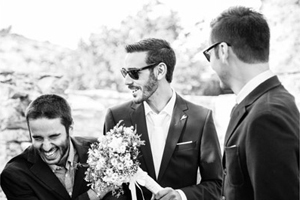 “Something that I really admire in Yiannis is he a very patient person!”, the bride shared with us. 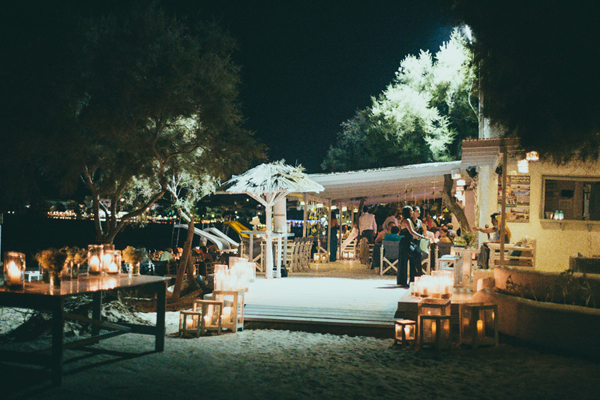 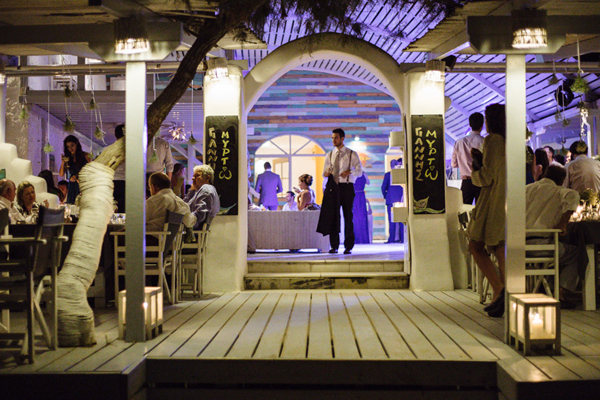 Following the beautiful wedding ceremony, the reception was held at the beach bar Flisvos, on the beach of Agios Georgios. 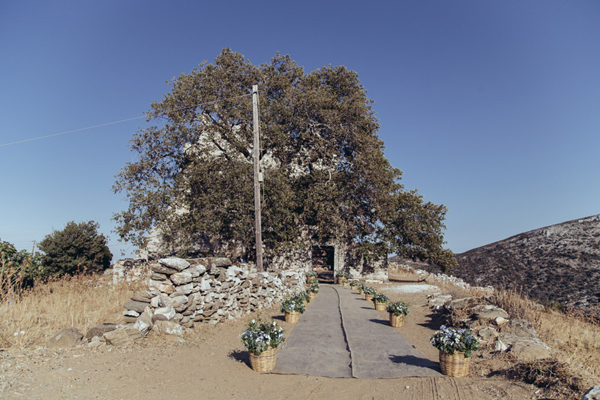 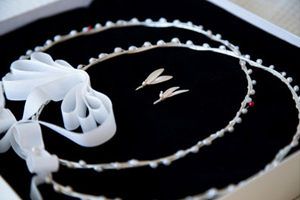 A unique wedding idea and an alternative to the traditional wedding guest books was the canvas wedding tree. 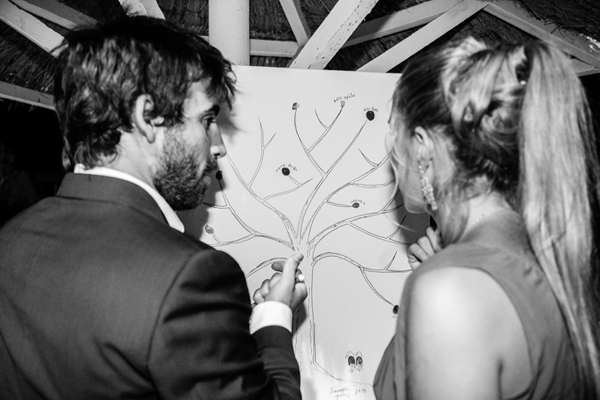 The wedding guests were asked “leaf” their thumbprint and create a love tree for the couple!